DETROIT -- The largest automaker in the world is now officially a felon in the United States, but its sentencing will have to wait. The guilty pleas accepted by District Judge Sean Cox settle claims by the EPA and U.S. Customs and Border Protection for VW’s importation of almost 590,000 turbodiesel vehicles that violated clean air regulations. However, the judge said at the end of an 70 minute hearing that he wanted more time to consider the settlement’s $4.3 billion in fines and other actions given the “serious nature” of the crimes. If VW hadn’t settled, it would have faced potential fines in the cases of between $17 billion and $34 billion. 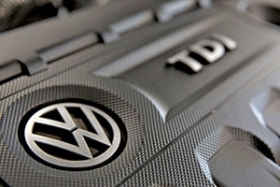 In a statement, the company said: "Volkswagen deeply regrets the behavior that gave rise to the diesel crisis. The agreements that we have reached with the U.S. government reflect our determination to address misconduct that went against all of the values Volkswagen holds so dear." However, it wasn’t until September 2015 that VW finally admitted to using the software to cheat U.S. emissions tests. The ensuing scandal ignited a global firestorm, resulting in almost $24 billion in costs just in North America.